Sunshine House is an old traditional country house of 5 generations, situated on Evia, the closest island to mainland Greece. Over the past ten years it has been used as a kind of sanctuary, exploring healing techniques and practices of the East and West, where many have come to learn, share and grow. Emphasis is on retreats of Thai Yoga Massage and nutrition. 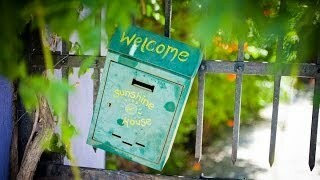 The aim of Sunshine House is to promote simple living and community gatherings, anchored in deep spiritual practice.